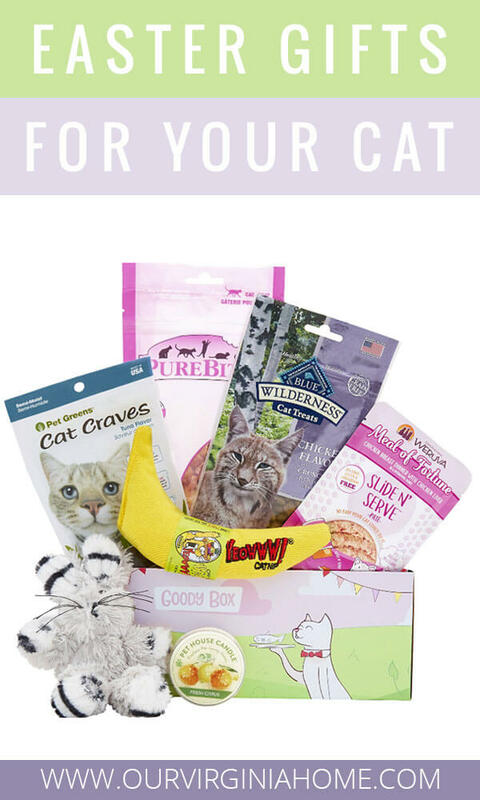 Looking for gifts for your feline friends? 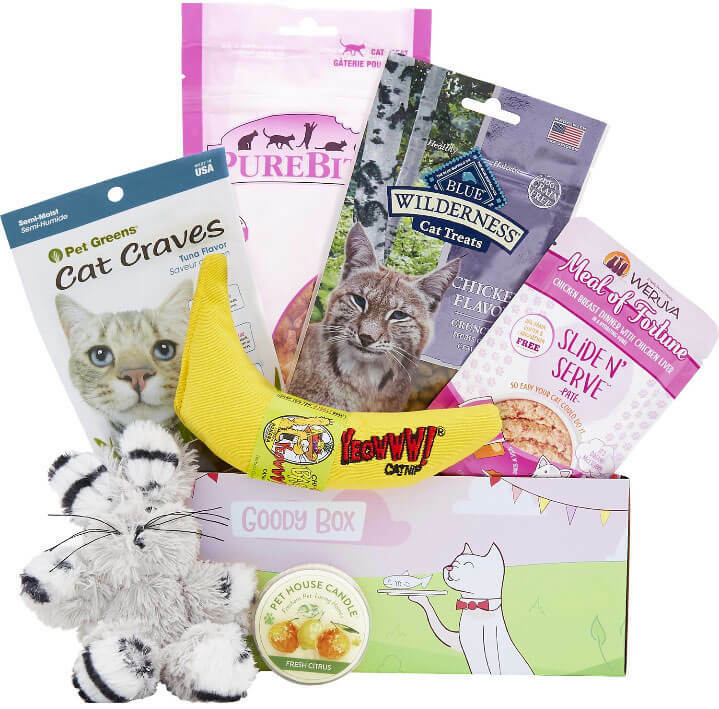 Here’s a list of our top 10 picks for Easter basket stuffers for cats. 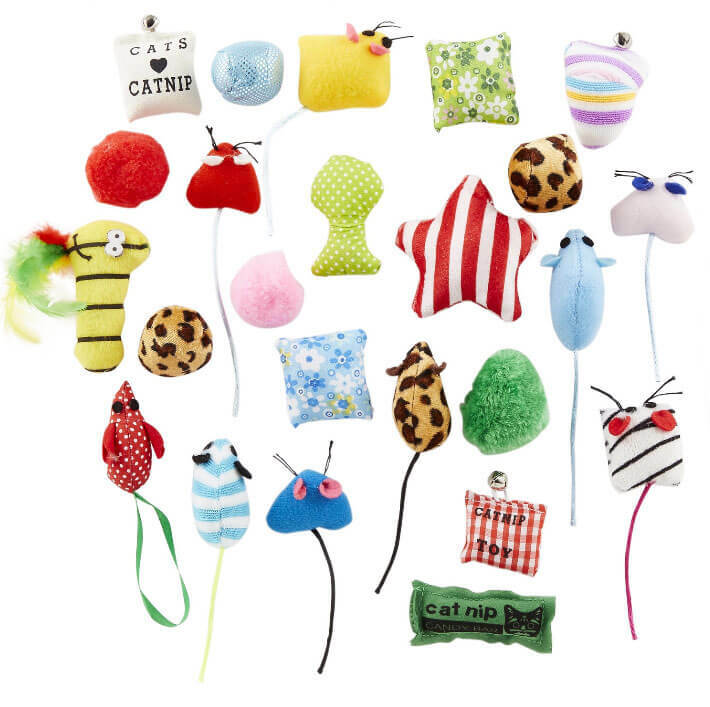 Buying cat toy grab bags is a great way to get a variety of toys for less. If you have a multi-cat household, you’ll have a good collection that each of your cats will love. This tent bed is collapsible and washable on the delicate cycle. It has a comfy bed insert. 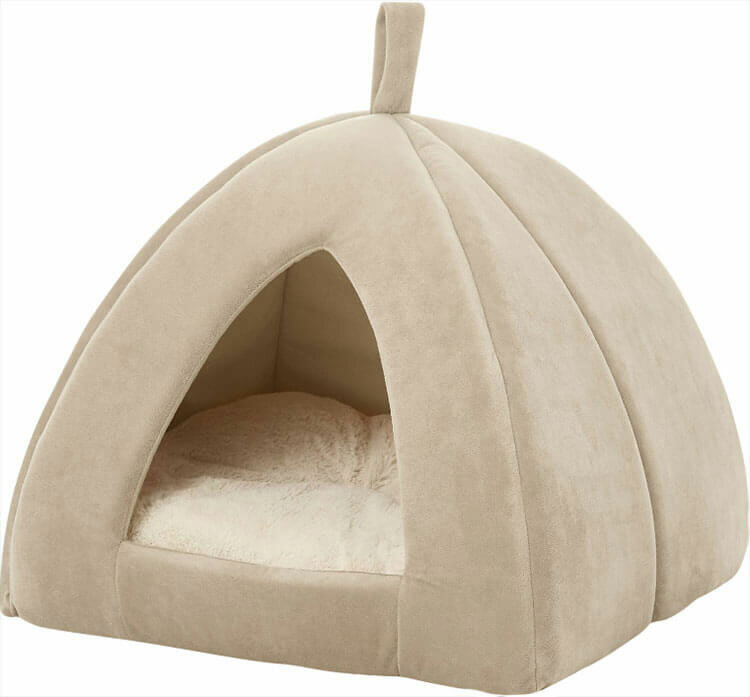 If you have a cat that likes to sleep in places that are out of the way, your cat will love a cat tent bed. 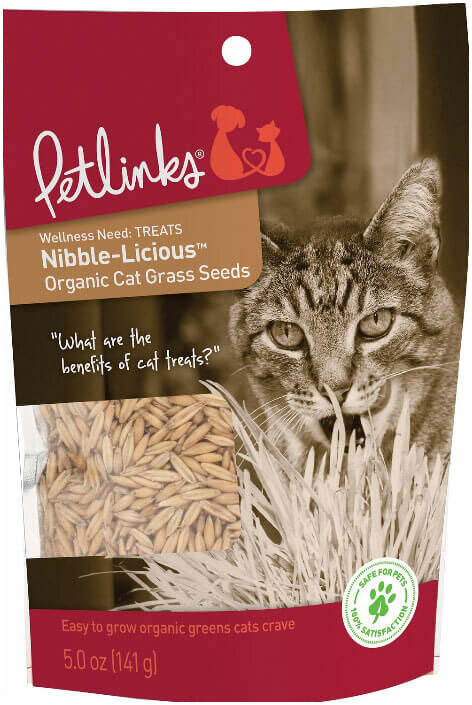 Organic cat grass seeds are processed without chemicals and pesticides. After adding potting soil and water, the seeds will sprout within a few days. KONG makes a collection of different Wubba animals. This Wubba bunny has a long body that will encourage your cat to kick. It is infused with catnip and makes a soft rattle sound. Give your cat friends a few treats after a play session. 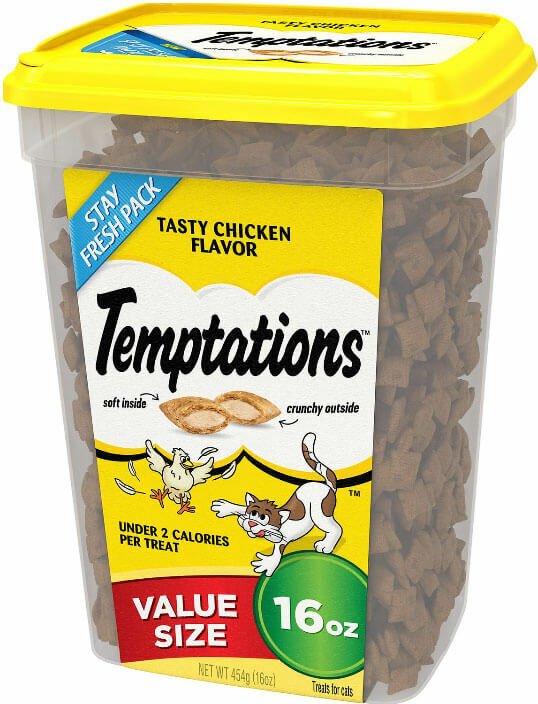 Temptations treats in value size containers come is different flavors. The Jackson Galaxy Comfy Cat Bed has a wire inside that allows you to shape the bed. A zipper on one end gives you the option to keep it open or closed. 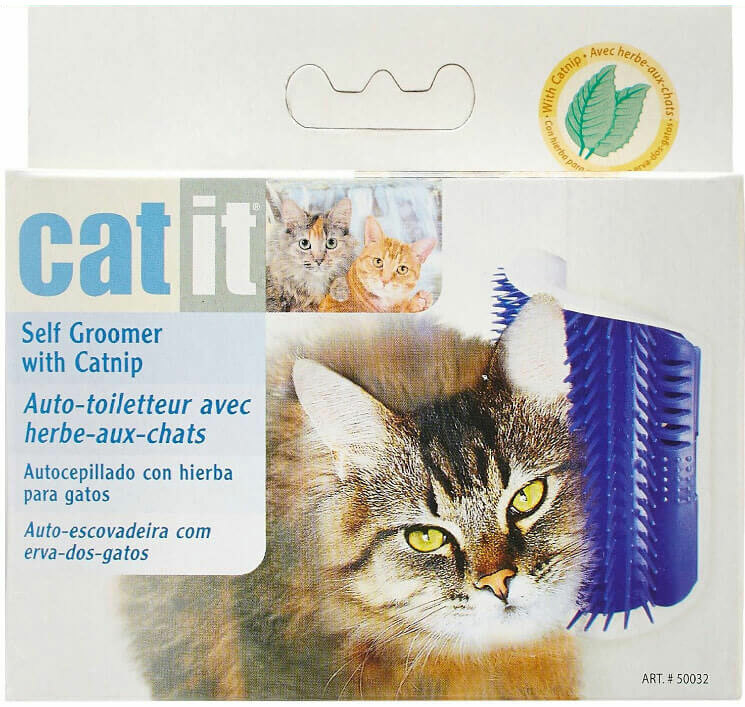 The self groomer with catnip comes with an adhesive backing so you can attach it to a corner. Based on the review, though, it’s best to attach it using screws. As your cat rubs against it, the plastic bristles will help remove loose fur and gives a massage. When you’re ready to clean it, the plastic brush snaps off. 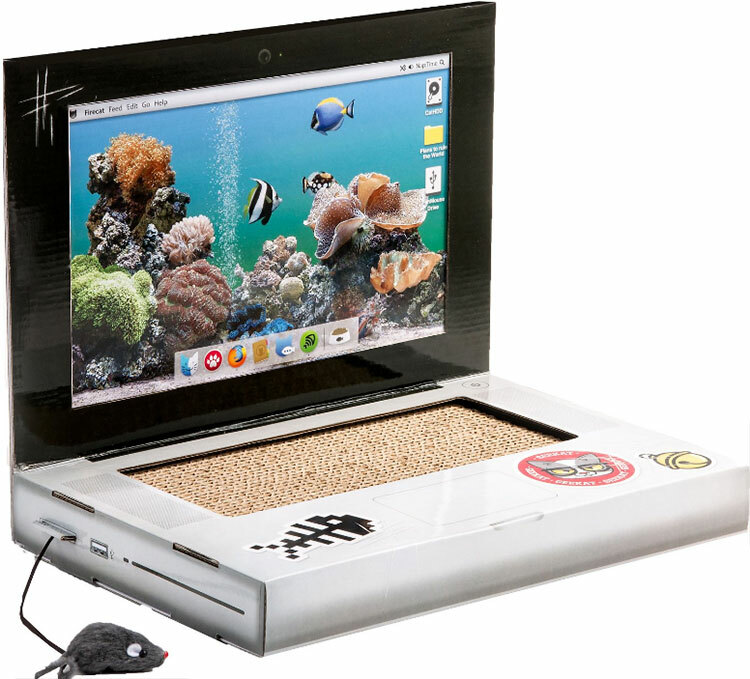 This scratch pad for cats features an all-cardboard scratch pad keyboard, fluffy toy mouse, and a clear plastic screen. You can change the image by inserting a new 8.5 x 11-inch sheet of paper behind the plastic screen. If you’re looking for more cat scratchers, take a look here. The cat dancer charmer toy is great for cats with lots of energy. 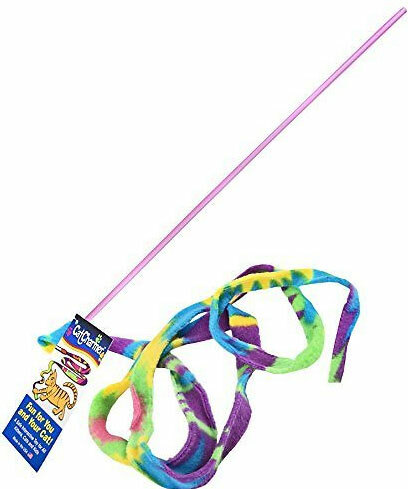 Especially if you have a cat that likes to jump, this toy will quickly become a favorite. Cats are always chasing bugs or jumping on the wall if they think they see something editable. 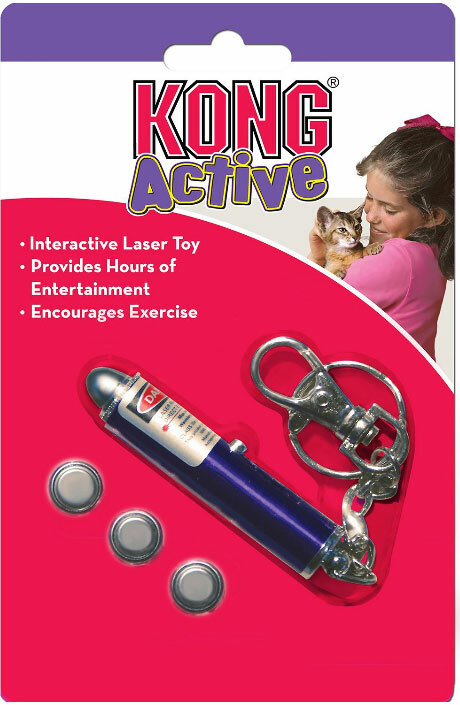 Use a cat laser toy to get them to run circles around your home. Are you still not sure what to get your cat for Easter? You can purchase a box of cat toys and treats. Please consider donating supplies and food to a local animal shelter. 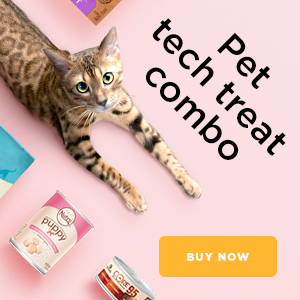 This goody box for cats has protein-rich treats, grain-free wet food, catnip-stuffed toys, and a 100% soy candle, scented with essential oils. This box is available for $19.99 and includes free shipping. Did you find this post helpful? Pin it on Pinterest.